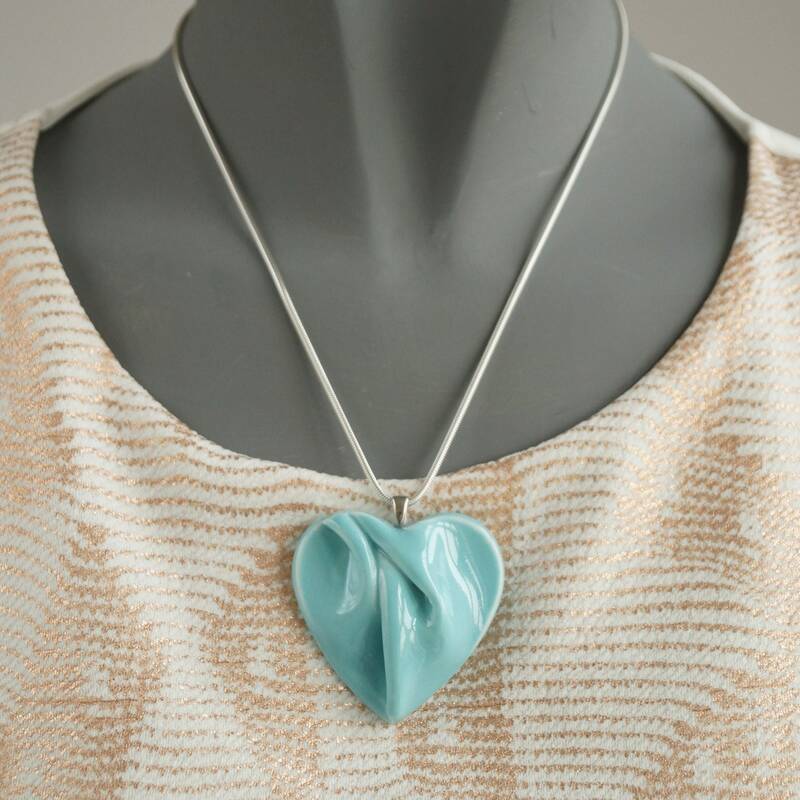 This jade heart necklace is lovely and soft to wear and the ceramic porcelain pendant is tactile and smooth. Gorgeous Mother's Day present. Hand made by me in white porcelain ceramic clay. 47 mm x 48 mm approx. Sterling silver snake chain*, diamond cut, 1.6 mm x 45 cm (18 inches) with lobster clasp. Stamped 925. 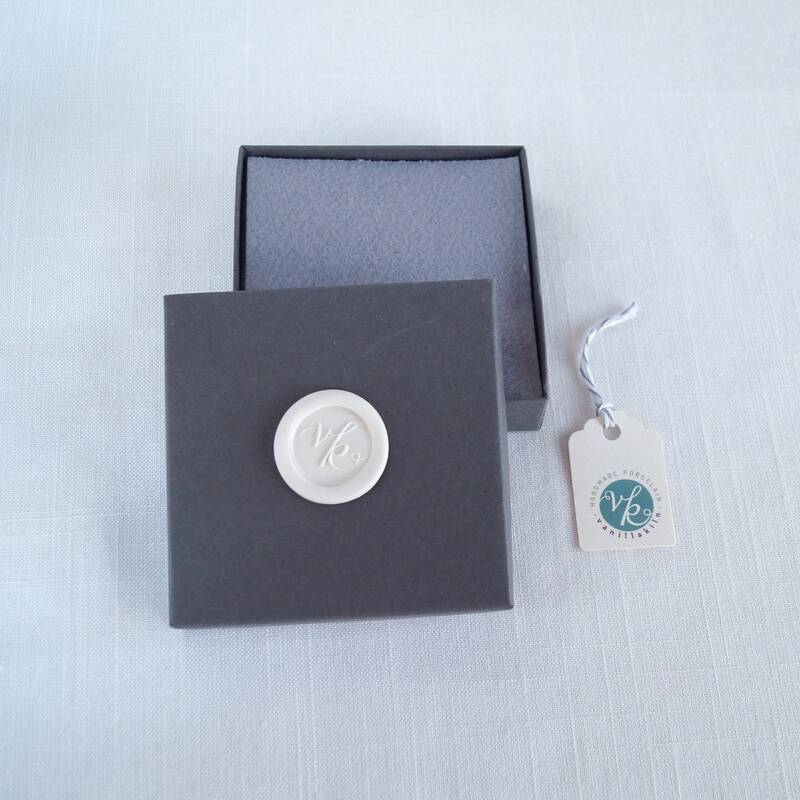 Available on grey satin silk rouleau cord and in other glaze colours. 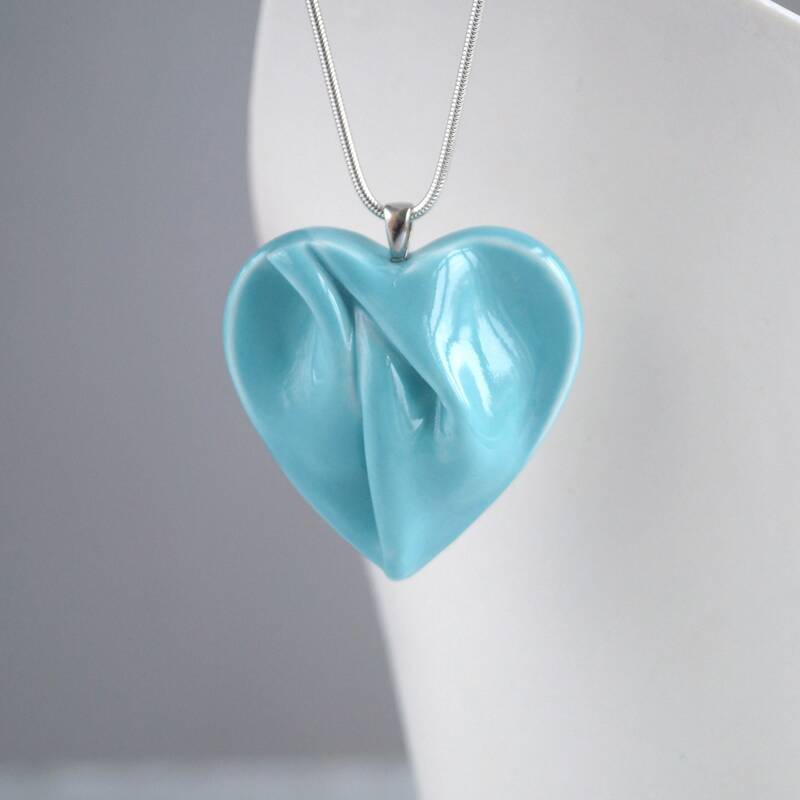 Before making a porcelain heart, the clay has to be the right consistency and thickness before being folded and artfully manipulated into shape. 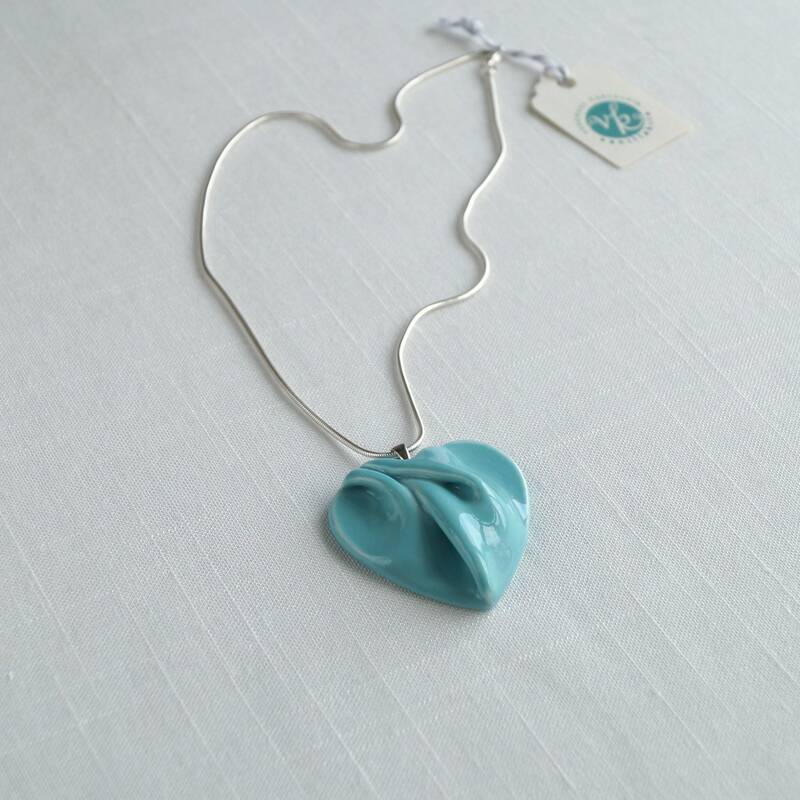 Due to this handmade process, each heart will be slightly different and just as lovely as the ones shown. Truly a "Work of Heart"!